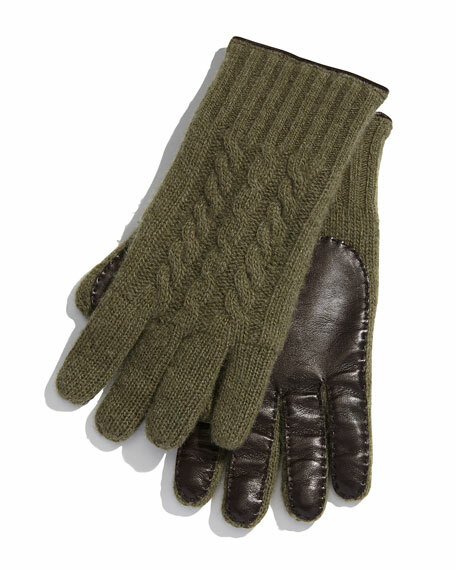 Bergdorf Goodman cashmere cable knit gloves. 11"L from middle finger to cuffs. Napa leather palm allows for easy driving. Exclusively ours. 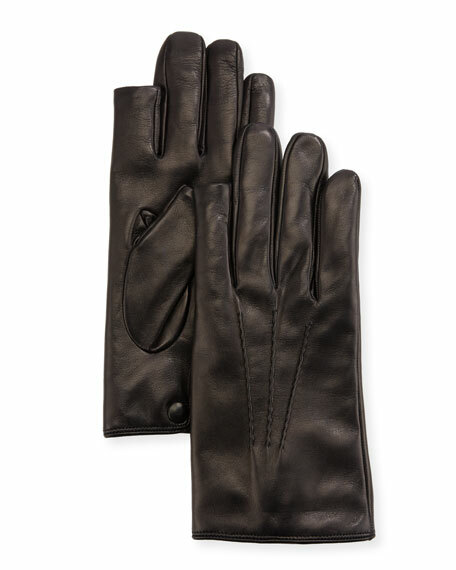 Guanti Giglio Fiorentino napa leather gloves. Three-point cords on top. Open forefingers and thumbs for full usage of touch-screen devices. Cashmere lining. Made in Italy. 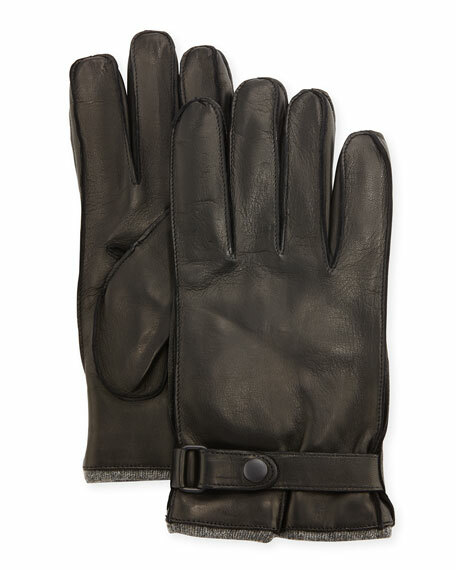 Hestra Gloves "Winston" gloves in supple elk leather. Three-point stitching on back hand. Pickstitch detailing along seams. Snap buckle detail at wrist. Cashmere lining. Elastic cuffs. Imported. 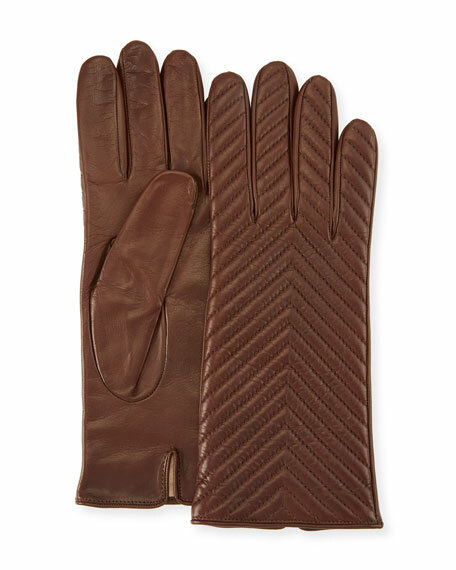 Portolano napa sheepskin leather gloves. Quilted pattern at back of hands. All around piping with vent on palm. Approx. 6.5"-8.5"L from base of wrist to hem (two-button length). Silk lining. Imported.